Despite the freezing temperatures these past two weeks, 2017 was still in the top three hottest years on record. The vast majority of scientists maintain that a significant proportion of this change from past decades and centuries is due to human activity. However, as evidenced by some of the President’s notorious tweets, dissolving of the federal advisory committee for the National Climate Assessment and deciding to leave the Paris climate accord, the issue is not a priority to the administration. Locally, Atlanta and Georgia State have both stepped up with new initiatives to combat the changing climate and bring residents into a renewable energy age. While Atlanta ranks 84th in the nation for environmental health, it was lauded in 2016 for recognizing a need to address climate change. The local government, in addition to retrofitting old buildings with energy-efficient lighting, now requires that new buildings are Silver-LEED (Leadership in Energy and Environmental Design) certified. Transportation is the leading cause of emissions in the city, according to John Seydel, director of sustainability for the Atlanta Office of Resilience. The city wants and has started to promote alternative transportation options to residents and commuters, like MARTA, express buses and teleworking. Additionally, the city hopes to encourage walking and a reprieve from the concrete jungle with initiatives like the Beltline. “The city of Atlanta is actually supposed to double in population over the next 10 to 15 years. There’s going to be a lot less traveling by car,” Seydel said. 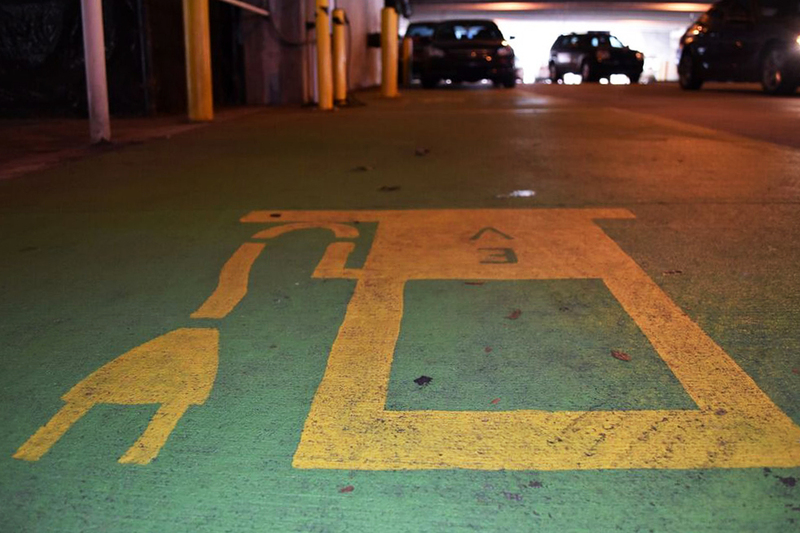 Additionally, legislation passed late last year that requires all new buildings to have EV-stations to incentivize driving electric cars, which are believed to cause fewer emissions than traditional cars. Atlanta made headlines in May 2017 by claiming it will be 100 percent powered by renewable energy by 2035, being the first city and Georgia and the largest southern city to make that commitment. “There is still more work to do to re-power all of Atlanta with renewable energy. This commitment represents just the starting point for the community. As we move away from fossil fuels to 100 percent clean energy, we must ensure that those most threatened by dirty fuels are first in line to see the benefits that come with this transition,” said Director of the Sierra Club’s Georgia chapter Ted Terry. “We look forward to working with our partners and city leaders to realize this vision of an Atlanta powered by 100 percent clean, renewable energy,” Terry said. So how is Atlanta holding up its promise? Georgia in recent years has made numerous strides to commit to primarily renewable energy sources, according to the Sierra Club’s website. The Sierra Club persuaded Georgia Power to implement new renewable energy initiatives, such as producing 1,600 megawatts of solar and wind energy by the year 2021. In September 2017, Georgia Power introduced a new program, Renewable Energy Development Initiative (REDI), in which Georgia Power will obtain 1,200 megawatts of renewable power for its large commercial and industry customers. The program offers Renewable Energy Credits (REC) matching production. An REC is a commodity that serves as proof of a 100 megawatt-hour of electricity that was generated from an alternative source, such as wind or solar power. Through the REDI, the more energy a company produces, the more REC’s it will get. “This new program will provide a new renewable energy option for larger customers, while also benefiting all of our customers through further diversification of our state’s generation mix,” said Georgia Power’s Director of Renewable Development Wilson Mallard in a statement issued in September. Environment Georgia, an environmental advocacy group based in Atlanta, is also taking action in getting Atlanta towards its goal. “It is absolutely possible– the bigger question is what it will look like and how do we get there,” said Environment Georgia Director Jennette Gayer. Another major initiative the city is taking is Solarize Atlanta, a program that is designed to make solar panels more accessible for businesses and individuals. While REDI is focused more on large corporations, Solarize Atlanta is more geared toward the smaller population. This program is a way to jumpstart Atlanta to becoming 100 percent renewable by 2035. Georgia State has implemented initiatives of their own to mitigate and remedy the damage inflicted on the environment. Jenni Asman, the manager of the Sustainability Program at Georgia State, spoke to The Signal about what the university is doing to help protect the environment. Georgia State is only installing energy-efficient lighting in new buildings, and adjusting the lighting in some older buildings, like T-Deck, to use less energy and thus leave less of a carbon footprint and save money. “[Georgia State] is also working to install technology to better monitor energy and water consumption in all buildings, making it easier to see trends and issues as well as better make recommendations for improvements,” Asman said. Georgia State also offers shuttles to and from student housing to reduce emissions from single-user cars and to provide accessibility for students who don’t drive. When asked what’s in the way of more widespread environmentally healthy policies, Asman said that the biggest obstacle for living “green” is adjusting our habits and traditional ways of thinking. Once we adjust our mindset and begin thinking of different environmental systems as interconnected, we can effect positive change.